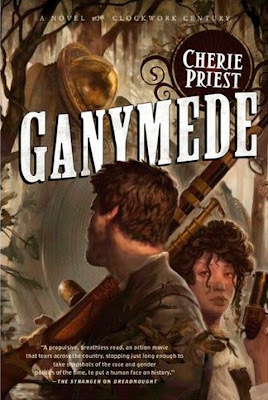 Cherie Priest next Clockwork Century novel Ganymede finally has a cover. And it looks to be by Jon Foster who has done all the other books in the series so far. Strong heroines are still in effect. 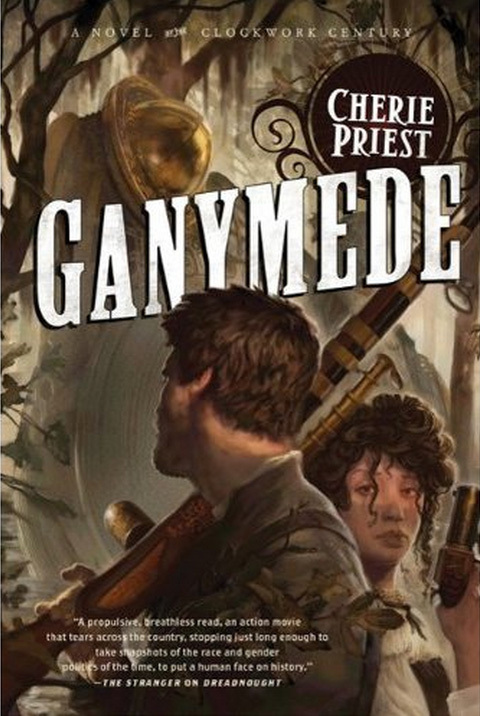 I'm going to guess the large device in the background in the sub-like Ganymede mentioned in the blurb. The air pirate Andan Cly is going straight. Well, straighter. Although he’s happy to run alcohol and guns wherever the money’s good, he’s not sure the world needs more sap, or its increasingly ugly side effects. But reforming is easier said than done: the captain’s first legal gig will be paid for by sap money, because the Seattle Underground is in dire need of supplies. New Orleans is not Cly’s first pick for a shopping run. He loved the Big Easy once, back when he likewise loved a beautiful mixed-race prostitute named Josephine Early, but that was a decade ago. He’s still on Jo’s mind, he learns when she sends him a telegram about a peculiar piloting job. It’s a chance to complete two lucrative jobs at once. He sends his old paramour a note and heads for New Orleans, with no idea of what he’s in for—or what she wants him to fly. But he won’t be flying. Not exactly. Hidden at the bottom of Lake Pontchartrain lurks an astonishing war machine, an immense submersible called the Ganymede. This prototype could end the war, if only anyone had the faintest idea of how to operate it….if only they could sneak it past the Southern forces at the mouth of the Mississippi River….if only it hadn’t killed most of the men who’d ever set foot inside it. Now the only question is whether Cly and his crew will end up in the history books, or at the bottom of the ocean. 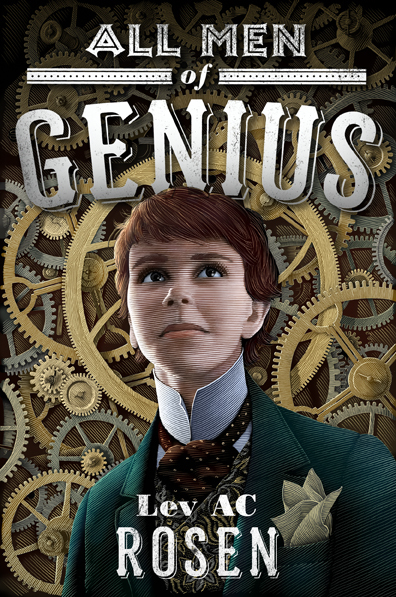 The end of September is always a big time of year for Steampunk titles and Tor is releasing Lev AC Rosen's debut All Men of Genius the same day as Priest's latest. All the gears to make it scream Steampunk, but I'm getting a big Kage Baker/Company vibe. This makes a bit of sense since it has a large historical bent based on its influences. A steampunk retelling of Twelfth Night and The Importance of Being Earnest from an exciting young talent.